The house was built by Dr. Gamaliel Barstow in 1823. 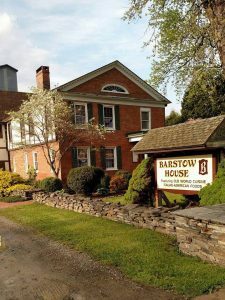 Dr. Barstow moved to the Tioga county area from Sharon, Connecticut in 1812. This man didn’t wait around for life to happen. Within a year he had become good friends with Judge Coryell (a powerful and influential figure in local politics) and by 1813 had married the Judges’ daughter Nancy. He then built the first frame house in the town of Nichols at the corner of what is now Rt.187 and Rt.282. He opened a store at this location that remained until it was torn down to erect the Cady Block in 1884, a building that remains standing to this day. Dr. Barstow soon entered politics, winning election to the State Assembly in 1815 and the State Senate in 1818. Soon after, he served as Judge of the Court of Common Pleas of Tioga County. He returned to the State Assembly in 1823. He was State Treasurer in 1825 and again in 1838. By 1823, the Dr. was ready for a bigger house so he bought a parcel of land on the north side of West River Street,just below the Nichols Hotel (which burned down in the mid 1970’s). He built a magnificent 2 story brick New England style home which now, 175 years later, houses the current establishment. In 1986, Stephen L. Timchack discovered this beautiful building in disrepair from years of non-use and determined to restore it to it’s former glory. Working with his two sons, Steve spent over 10 years repairing and replacing the interior and exterior of this historic landmark. The clean white walls. The thick solid hardwood beams exposed in the walls and on the ceiling. The hardwood planking on the floors. 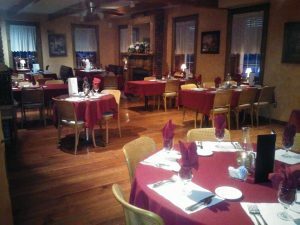 They all create an atmosphere that draws you in and compliments your dining experience. Period touches abound in the decor. 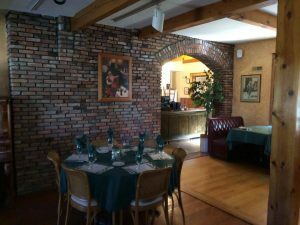 The brick archway in the rear of the dining area dates back to the original construction, dismantled brick by brick and rebuilt. 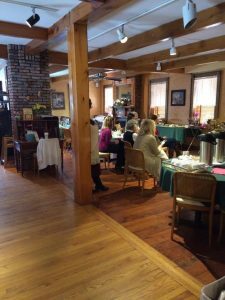 The overall effect is to feel as if you’ve been transported to an eariler time, except… well… the food is better!